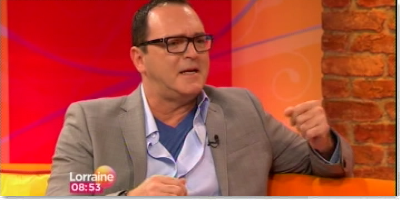 Madonna's brother Christopher Ciccone appeared on UK breakfast TV on the morning of Thursday September 13th 2012 to be interviewed by Lorraine Kelly. Christopher was in London for the launch of a line of shoes he designed. In this interview he discusses Madonna, with whom he says he is no longer fighting.